It's week 12 of the 52 Week Pet Photography Project and the theme is "portrait". Well, that's what I do! But rather than a dog or cat, I thought I'd mix it up the week and showcase Bubbles the Guinea Pig. What can you do with a Guinea Pig? Turns out quite a bit! I know Bubbles' family as his mom works at one of the shelters that I volunteer at in the Dallas area. Bubbles is her daughter's pet and it was a spring break surprise for her to come into the studio with him for a pet portrait session. Enjoy! I'd love to photograph your pet whether it has fins, scales or a tail, creeps or crawls. If they're special to you, then they deserve to be photographed! Click on the button below to start the conversation. I can't wait to see what Colleen of Simply Col Photography - for the love of photography and pound pups - has to share for the theme of "portraits" and then continue clicking on the link at the bottom of each post for an array of worldwide portraits by fabulous talented pet photographers. Tracy Allard of Penny Whistle Photography is a Certified Professional Photographer with the organization Professional Photographers of America; a designation held by fewer than 2,500 photographers nationwide and a hallmark of consistency, technical skill, artistry and professionalism. 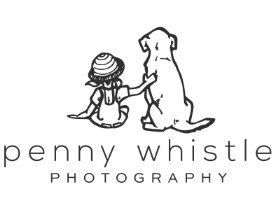 Penny Whistle specializes in both natural light and studio photography providing pet, couple & engagement, family and high school senior portraits as well as corporate headshots and commercial photography services in her studio located in historic downtown Carrollton as well as on location in Coppell, Grapevine, Southlake, Flower Mound and surrounding communities in Dallas – Fort Worth, Texas. Let's talk about your pet's portrait! Elaine - I just love the name Bubbles, and all of these photos! Lynda Mowat - Oh I love these! Especially the flowery ones. I had a guinea pig just like Bubbles when I was young. Very cool pets. Darlene - Such cuteness! I love Bubbles! The first one is my favorite with the flower pot and the flower - perfect! Love the color backdrop , too! Is it Seamless paper? Chestnut by any chance? Angela Schneider - I love this flower pot thing you have going on!